Haze jokes in, the haze from Indonesia reached OUG this morning. It reached Sunway, and SS15 about 11am yesterday. I wanted to park outdoors, but the smokey air was too much for us. Today I wanted to for swimming lessons with my fitness instructor, but because the pool was outdoors, I had to continue my personal training indoors. Haze jokes aside, here is some of my good news to share. 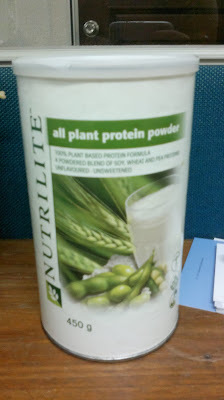 Last week, my training instructor observed that my weight loss had reached a standstill in the past few weeks. So he decided to increase the intensity of my circuit training sets. 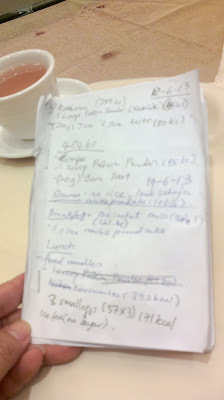 I decided to start a food journal on Monday, and start a ban on having rice in my daily meals. So far, the implementation has been pretty successful, whereby I decreased my intake of carbohydrates, but increased the intake of fruits, vegetables, eggs, and meats. 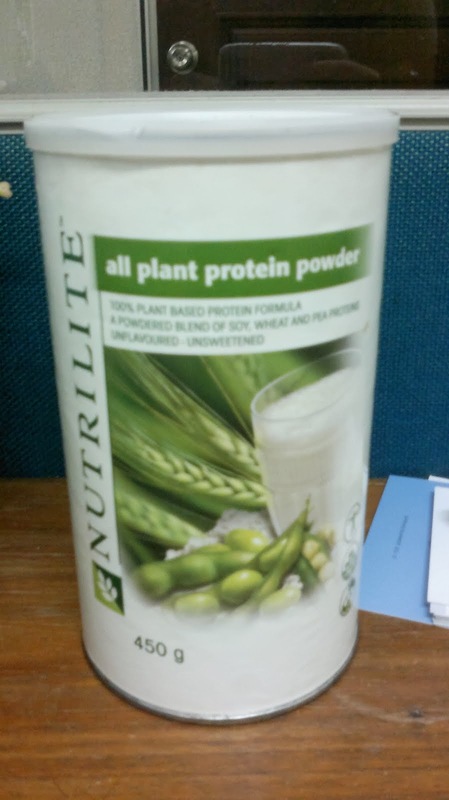 I am also trying to use up my left over supply of Nutrilite protein powder to supplement my meals, since I am reducing the amount of carbohydrates. It has been reported that the use of a food diary will cause participants to increase the rate of success by at least two times in weight loss. From personal experience this week, I would have to say that report would be true, with the psychology and mental effects involved. - keeping my individual meals to max 500 kcal only. yeah, the food journal is to most cheapest and simplest way to control dieting. It may be a hassle to write everything down, but it makes us totally aware of what we are eating at all times!